If your garage door isn’t working properly or much worse it isn’t opening, then don’t get panicky. A garage door that has run its course over a long duration of time can show some problems and there are a number of different repairs that can solve your problem. A garage door comprises of two systems – the door and the door opener which when work together makes the door work. So if your garage door isn’t working then we can assume that these two systems aren’t working harmoniously. In this article we will talk about garage door repairs and their approximate costs. The uneven movement of your garage door can be due to two different reasons, either there are some issues with the spring or there is an issue with the track. Unless your garage door isn’t facing any obstruction then the uneven movement is most likely due to issues with the spring. The problem can be solved by replacing the springs. Replacing a spring is quite a laborious task and may need the help of professionals. 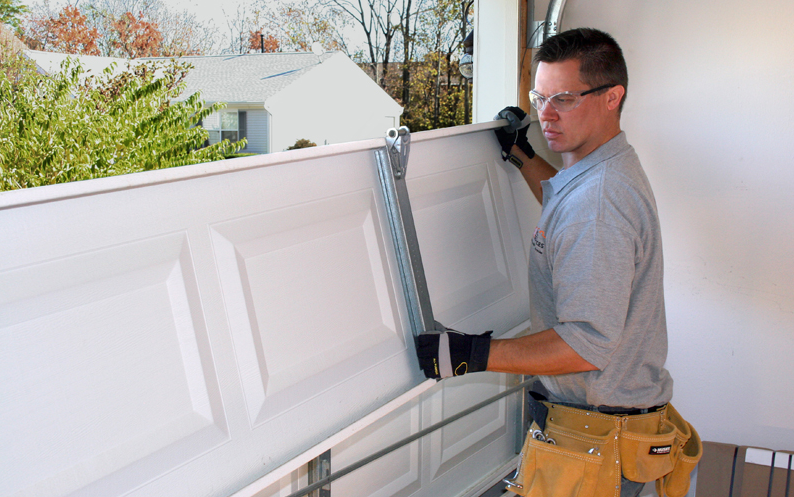 Finding a professional garage door repair company is pretty simple. There are many online directories that have a list of professional companies in different areas. Let’s say you are a resident of Blaine in Minnesota, you can look up the directories using the keywords garage door repair Blaine, MN. Average cost of spring repair is around $300. Now the uneven movement may also be due to the bending or warping of the garage door tracks. The tracks can either be repaired or replaced depending on the degree of damage. Track repairing costs $133 to $154. This is one of the most common problems and can be caused due to multiple reasons. If your garage door is equipped with sensors, then any obstruction in the path of the sensor can cause your garage door to malfunction. To solve this problem make sure that there is no obstacle in the path of the sensor. There may also be a problem with the garage opener. Press the button on the opener to check if the light turns on, if it doesn’t then probably you’ll need to replace the battery inside the opener. It is a very inexpensive process and you can solve it yourself. If both your sensors and opener are working adequately, then the problem may lie with the wheel track. You can check if there is any kind of obstruction in the wheel track by opening the garage door manually. If you find any potential damage, then you can either repair the track and or get the track replaced. This will cost you around $133 to $ 154. You might also need to correct the uneven door hangings which can additionally cost you around $125. 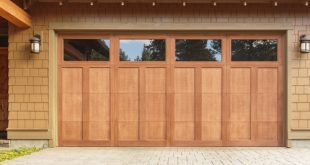 Any kind of grinding or squealing noise that your garage door makes while opening or closing is an indicator that it is lacking of lubrication or that dirt may have accumulated over time. If your door still makes noise after cleaning and lubricating then maybe you should ask for a professional service. They can find out if there is any issue in the track that might be causing the noises. This may cost you around $155. If your garage door falls down really quickly or it bounces while in use, then there may be an underlying problem with the chains and cables. You need to call professionals her. They will repair or replace the cables for you. Cable repair on average costs around $150 to $200. Here you have it, all the information about garage repair costs. If you are facing issues with your garage, you can get an idea actually how much the repair can cost you. Previous Buying Vs. Renting A Home: What Is The Best Option For You?